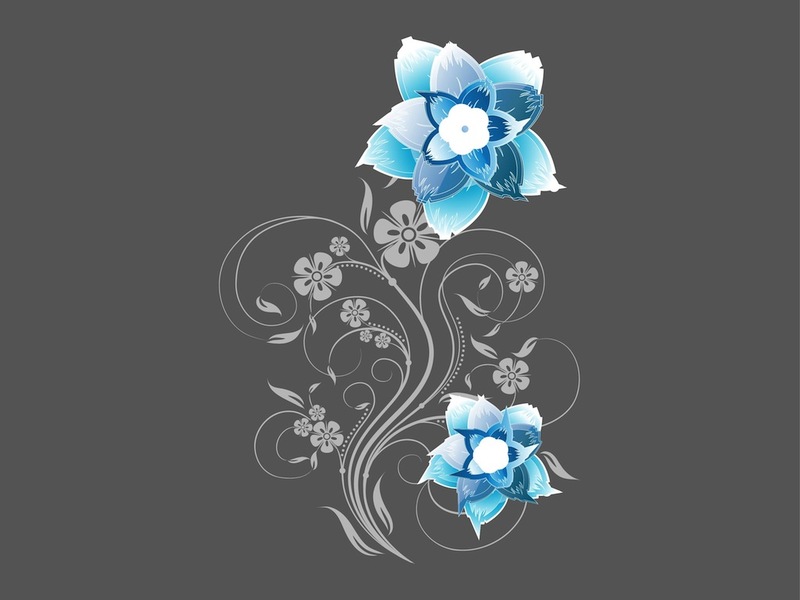 Nature vector graphics of a beautiful blooming flower. Decorative floral layout with swirling stems, silhouettes of small blossoms and big colorful blooming flowers. Free vector graphics for all nature, spring, floral, flowers, plants and florists projects. Download vector flowers for your posters and greeting cards. Tags: Blossoms, Decorations, Decorative, Floral, Flowers, Stems, Swirls.